The arrest this weekend in New York City of 20-year-old Chanel Lewis, who is accused of murdering jogger Karina Vetrano six months ago, can be chalked up, in large part, to one lieutenant's intuition, according to police sources. Lewis was arrested on Saturday, a little over six months after 30-year-old Vetrano's death. She was fatally strangled on Aug. 2, 2016, while jogging alone in Howard Beach in the borough of Queens on a path where she and her father often ran together. According to police sources, NYPD Lt. John Russo first saw Lewis on the Brooklyn-Queens border in May, three months before Vetrano's murder. Russo thought he seemed suspicious and called it in, but Lewis left before a patrol could respond, police sources said. The next day, a 911 caller mentioned Lewis by name and said he looked as if he was breaking into a Howard Beach property with a crowbar, police sources said. After Vetrano's death in August, police combed through leads, but no one at the time was arrested. As the summer ended, Vetrano's devastated mother told ABC News she was "broken" but was confident her daughter's killer would be caught eventually. The case went cold until last week, when Russo thought police should consider Lewis for the murder, according to police sources. Lewis was tracked through the 911 call that mentioned him as well as through three summonses dating back to 2013; one was for urinating in public, and two others involved breaking rules in the park where Vetrano's body was found. "Once we saw that he was in and around the Gateway Park area, that's when we went to speak to him," NYPD Chief of Detectives Robert Boyce said at a news conference today. Police first spoke to Lewis on Feb. 2, and Lewis voluntarily gave a DNA sample — one of 600 samples taken in the case, police said. "We brought that immediately to the office of the chief medical examiner, where within two days, we had a hit of the DNA we recovered from the crime scene," Boyce told reporters Sunday. Lewis was taken into custody Saturday evening, and Boyce said today that Lewis gave "detailed, incriminating statements" to arresting officers, though Boyce declined to elaborate. Police sources said that Lewis confessed to the crime and that there was no motive other than he was "unhinged" and apparently upset there were so many people in the apartment where he lived with his parents. Lewis has no criminal history and does not work, Boyce said. Boyce said police do not believe Lewis knew Vetrano "at all." "From what his statements were, it was a chance encounter," Boyce said Sunday. Boyce said Vetrano helped police identify the suspect. "She had the DNA under her nails. She had touch DNA on her back, and there was more DNA on the cellphone. So three incidences that we were able to bring this profile up, and that's how we were able to link it," Boyce said. After police received over 250 leads from the public regarding Vetrano's murder, Lewis was charged this weekend with second-degree murder, police said. He made his first appearance in court Sunday and did not enter a plea. The case is being presented to a grand jury to consider sexual assault charges. The Legal Aid Society, which is representing Lewis, said in a statement today, "We have a full defense team working on this case, including our DNA unit dedicated to scrutinizing the evidence collected by local authorities. We are spending this critical time getting to know our client and his family and reviewing all the facts associated with this case. We caution everyone — including the media — not to rush to immediate judgment. As our judicial system affords, Mr. Lewis is entitled to fairness and due process." Russo said today that it was "good old-fashioned police work" that led to the suspect. Karina Vetrano's father, Phil Vetrano, told ABC station WABC-TV in New York on Sunday, "The police did an excellent job." 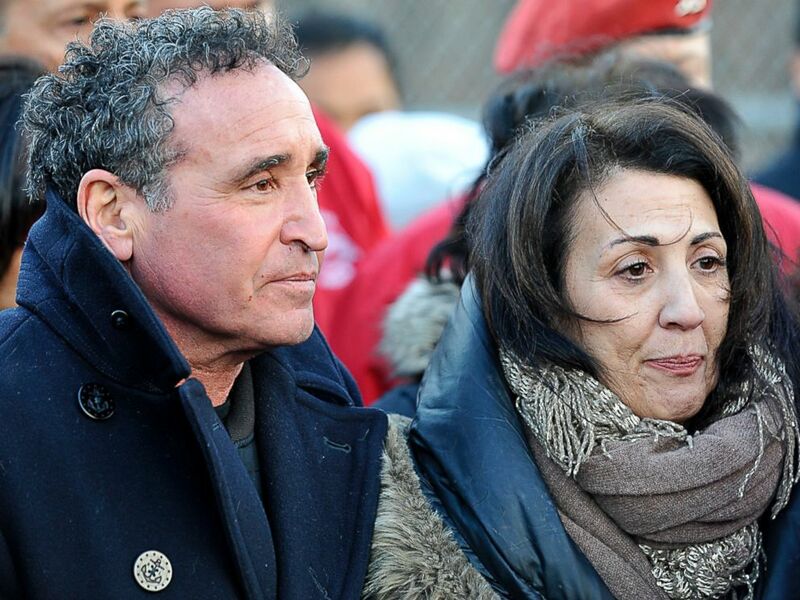 Cathy and Phillip Vetrano, parents of murdered jogger Karina Vetrano, hold a press conference at the entrance to the paths their daughter ran on in New York, Feb. 2, 2017. Her mother, Cathy Vetrano, said, "They worked endlessly and tirelessly, and that was because of their passion, combined with our passion for our daughter." "We would never tire. We would never stop," Phil Vetrano told WABC-TV. 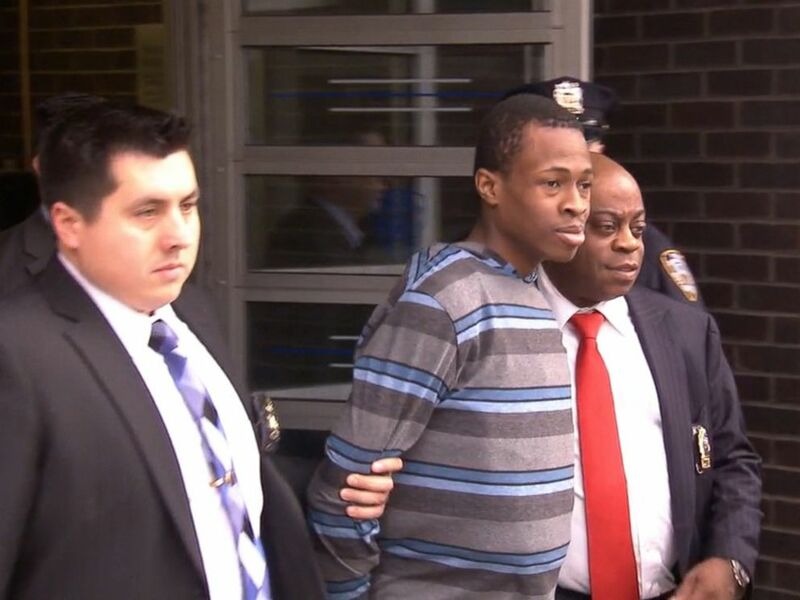 He told WABC-TV he will "absolutely" be at Lewis' trial. "Every minute of the day," he said.